There has never been a treaty between Aboriginal and Torres Strait Islander people and colonial governments in Australia. In other British settler colonies (where the colonisers came to stay), such as Aotearoa/New Zealand and Turtle Island/North America, there have been treaties negotiated with Indigenous peoples. It can be useful to understand what has happened in other countries to know more about what may be included in treaty for Aboriginal and Torres Strait Islander people and to see the historical context of treaty making. Signing of the Treaty of Waitangi, Source: NZ Ministry of Culture and Heritage. In 1840, the Treaty of Waitangi was signed between 540 Māori Rangatira (chiefs or leaders) and the British Crown. The Treaty of Waitangi is seen as the foundational document for the nation of New Zealand and it continues to be celebrated each year with a public holiday. The Treaty was first signed in the town of Waitangi and was then sent on to be signed by Rangatira in different areas, although not all Iwi (tribes) signed the Treaty. One issue with the Treaty was that the meaning of the text was different in the English version and the Te Reo Māori (Māori language) versions. In the English version, the text stated that Māori were agreeing to hand over their sovereignty to the British. However, in the Māori language version, the term ‘sovereignty’ was translated to kawanatanga (meaning governance). This means that to the Rangatira signing the treaty, they were allowing the British to set up a government but that they would retain their sovereignty and their rights to manage their own affairs. 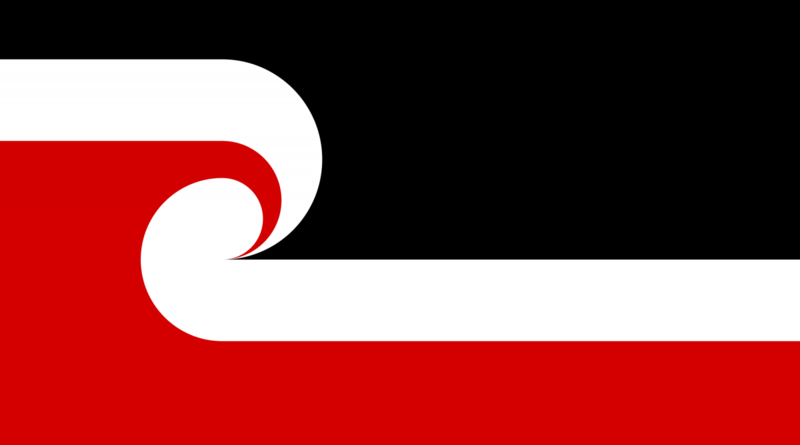 The Tino Rangatiratanga flag represents Māori sovereignty. It was designed in 1990 by Hiraina Marsden, Jan Smith and Linda Munn and has been used as a symbol of Māori protest and struggles for self-determination. Since it was signed the Treaty was frequently breached, with Māori experiencing land theft and dispossession, violence and denial of cultural rights by the British and New Zealand governments. In 1975, the Waitangi Tribunal was created to investigate Māori grievances and cases where the Treaty was not followed. Some Treaty clauses have also been included in other legislation and the Treaty is now widely seen as a fundamental document to guide the relationship between Māori and the NZ Government. National Library, The Treaty of Waitangi. Turtle Island Emoji, designed by Anishinaabe artist Chief Lady Bird, Source: CBC News. Turtle Island is a name used by some First Nations people for what is usually called North America. Colonisers of Turtle Island include the British, French and Spanish. In contrast to the single treaty in Aotearoa, colonial powers negotiated separate treaties with different First Nations groups – with hundreds being negotiated in the USA. This meant that there were a lot of differences between each treaty. Again, frequently the treaties were not followed and First Nations people experienced significant injustices. For example in the United States, treaties were used as a means to dispossess as was the case with the Removal Act of 1830. This law allowed the Government to create treaties that in reality forced or coerced, sometimes violently, First Nations groups to give up their land and move into other areas of the country. US Office of the Historian, Indian Treaties and the Removal Act of 1830.